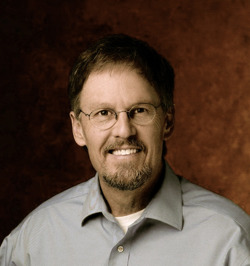 Dr. Duffy Robbins is the Professor of Christian Ministries at Grove City College (Grove City, PA) as well as an Associate Staff Member of CPYU (Center for Parent/Youth Understanding). He is a thirty-five year veteran of youth ministry. Duffy speaks around the world to teenagers and people who care about teenagers. Duffy has his D.Min. in Youth and Family Ministry from Fuller Theological Seminary, and is the author of numerous books including Ministry of Nurture, This Way to Youth Ministry: An Introduction to the Adventure, Speaking to Teenagers (which he co-wrote with Doug Fields), Youth Ministry Nuts and Bolts and Enjoy the Silence (which he co-wrote with a wonderful girl named Maggie Robbins that he married many years ago). Duffy will be preaching each evening, leading the What I've Learned in Ministry session, and teaching Translating Lessons to Life: Making Sure They Hear What You Think You Said. Dr. Walt Mueller is the founder and President of the Center for Parent/Youth Understanding, a non-profit organization serving schools, churches, and community organizations across the U.S, Canada, and worldwide in their efforts to strengthen families by helping those who know and love children and teens to understand today’s rapidly changing youth culture. Walt has been working with young people and families for over 40 years. He has appeared on numerous media outlets internationally to discuss teenagers and their world. He writes on youth culture and family issues and is the author of nine books, is a regular contributor to a variety of magazines and journals, and is a blogger. Walt’s commentary and analysis on youth culture is heard on 870 radio stations across North America on CPYU’s daily radio program, Youth Culture Today and is the host of the “Youth Culture Matters” podcast. 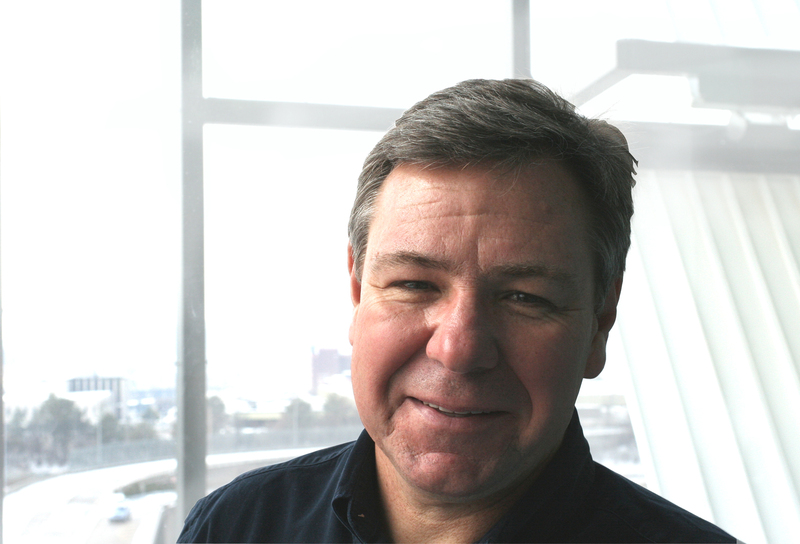 Walt's educational background includes research and studies in the disciplines of sociology, anthropology, theology, and postmodern generations. Walt and his wife Lisa live in Elizabethtown - the home base of CPYU - and they have four grown children and five grandchildren. Walt wants people to know that his greatest joys have come as a dad. He is not an expert on any of these issues, but rather sees himself as a fellow struggler with other parents and grandparents who are endeavoring to understand the world of kids in order to provide solid guidance and direction in the midst of a very confusing world. Scotty Smith currently serves as Teacher in Residence at West End Community Church in Nashville, TN. Like all the great ones, his ministry career began and took shape in youth ministry. He is also the founding Pastor of Christ Community Church in Franklin, TN. A native of Graham, NC, Scotty is a graduate of UNC-Chapel Hill and Westminster Theological Seminary (WTS) in Philadelphia. He is currently adjunct professor at WTS, Covenant Theological Seminary in St. Louis, and Reformed Theological Seminary. Scotty has been married to Darlene for forty years, and they have two adult children, Kristin and Scott and a grandson, Finn. Scotty has authored 6 books, including Objects of His Affection; Unveiled Hope, with Michael Card; Restoring Broken Things, with Steven Curtis Chapman; and Everyday Prayers: 365 Days to a Gospel Centered Faith. Scotty enjoys cross training, photography, fishing, & classic rock and roll. 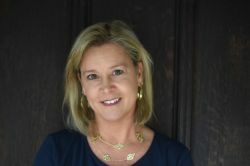 Julie Lowe is a faculty member at CCEF in Glenside, PA. She holds an MA in counseling from Biblical Theological Seminary. She is a licensed professional counselor with over fifteen years of counseling experience. She has extensive experience with women’s issues, sexual abuse, body image issues, parenting, and child maltreatment issues, and regularly speaks at events on these topics. Julie is also a registered play therapist and has developed a play therapy office at CCEF to better serve families, teens and children. She is a trained facilitator for Stewards of Children, a non-profit organization that provides training on child sexual abuse. Julie has trained a therapy dog that she works with both professionally and on a volunteer basis. Julie and her husband, Greg, have six children and serve as foster and adoptive parents. Joey is the Chief Exexcutive Officer for RYM. He graduated from the University of Mississippi with a BA in Psychology where he also became heavily involved in the ministry of Reformed University Fellowship. After college he attended Reformed Theological Seminary in Jackson, MS and graduated with a Master of Divinity in 1992. After spending several summers ministering to youth at camps such as Alpine Camp for Boys in Mentone, AL and Twin Lakes Camp in Florence, MS, he became the Director of Youth and Educational Ministries at First Presbyterian Church in Yazoo City, MS where he ministered for nearly 5 years. 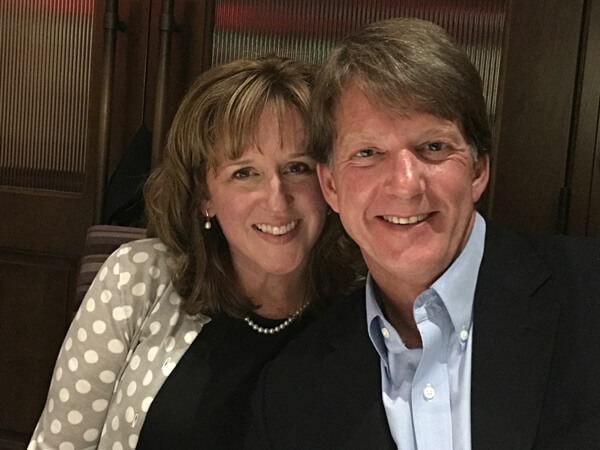 In 1993, he accepted a call to become the Assistant Pastor of First Presbyterian Church in Crossville, TN with the responsibility of planting a PCA church in Cookeville, TN. 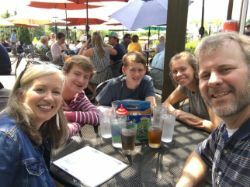 Grace Presbyterian Mission was immediately formed and he remained in Cookeville as the Organizing Pastor and later Senior Pastor of Grace Presbyterian Church, PCA for 14 years. He then accepted a call in February of 2007 to become the Executive Director of RYM. Joey has served as a member of the RYM Board of Directors since 1990 and possesses a resolute zeal and passion to serve the church through the expanding mission of RYM. Joey is married to the beautiful Connie Cawthorn and together they have four children: Ashley Grace (Wilkinson), Joseph Wesley, Hannah Faith and Jennifer Cawthorn. John (MDiv RTS ’09 & DMin SBTS ’16) is the Director of Resources for RYM. He served in youth ministry at Pear Orchard Presbyterian Church for over 12 years. Prior to that, he served in youth ministry at First Presbyterian Church in Hattiesburg, MS. He has published Your Days Are Numbered (2016), What Would Judas Do? (2017), and Time Out! The Gift or god of Youth Sports (2018). His forthcoming title, Insecure: Fighting our Lesser Fears with a Greater One, will come out this Spring (2019). He has also published articles with The Gospel Coalition and Desiring God. 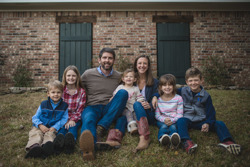 He and his wife, Ashleigh, have five children and live in Ridgeland, MS.
John will be teaching Growing in the Philosophy of Ministry (POM) and POM Avenues. Joe is the Music Resources Coordinator for RYM. He grew up in the small town of Tuscumbia, AL near the banks of the Tennessee River. He started playing guitar when he was 15 on a cheap, old fender he borrowed from a friend. A year later, he started banging around the old piano that sat in his living room. He fell in love with both and quickly discovered he had more of an interest in music than he realized. 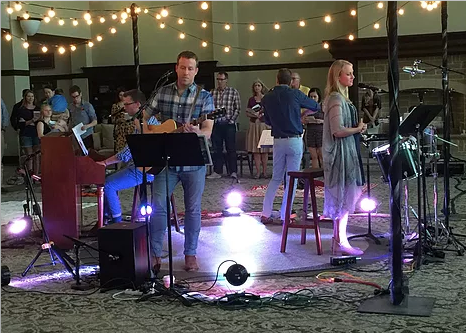 Joe found ways to play for churches and gatherings and friends throughout high school and college until he moved to Houston, TX to work as a youth pastor at Christ the King Presbyterian Church. He has since found a home in Houston with his wife Leah and his three kids Ellie, Sam, and Will and joined the RYM staff as the Music Resources Coordinator this past summer. He has recently released the first album with RYM Worship (crafty new band name, right?!?) titled "Promised Land". This first RYM project is a mix of old and new songs, some covered, some original. Our hope is that these songs would be a blessing to those who hear them and also a resource for churches and youth groups who would like to incorporate them into their own worship. Before joining the RYM staff Joe wrote and recorded two full-length albums: "The Risen King" (2015) which is an eleven song project that tells the story of the crucifixion and resurrection of Christ and "Cover and Title Page" (2017). All three of these albums are available for download on all major outlets (Spotify, iTunes, Amazon, CD Baby, etc.). Joe will be leading our worship along with Toney-Paite Phillips and Patrick Fischl. Michael and his wife, Kirby, have three children: McKenzie, Carter & John Thomas. Michael and Kirby met while studying at Ole Miss where God was gracious to call them both to faith in Christ through the ministry of Reformed University Fellowship. They were married soon after graduation and together spent a year in Salzburg, Austria, where Michael studied German. They later moved to St. Louis, MO where they attended Covenant Theological Seminary. Michael received a Master of Divinity and Kirby received a Master of Theological Studies. Michael's relationship with RYM began the summer of 2000 at the beloved Laguna Beach Christian Retreat Center. Over the years he has led groups from Clemson Presbyterian Church, Kirk of the Hills and Trinity Presbyterian Church in Charlottesville, VA to numerous RYM summer conferences. He has also been a big proponent for RYM's Youth Leader Training (YLT) since its beginnings. He joined the staff of RYM as the Director of Training in 2016. Michael’s ministry focus within RYM is threefold: the Youth Leader Training Conference, the Church Internship Program and coaching/consulting/providing pastoral care for youth leaders and pastors. Contact him if you ever need to talk!